Hypnotherapy is a combination of hypnosis and therapeutic intervention . The therapist leads the patient to positive change while the patient is deeply relaxed in a state of heightened suggestibility called trance. In order to understand hypnotherapy, it is necessary to understand the underlying concepts of hypnosis. Later, around 1840, a patient in the office of Scottish physician James Braid, accidentally entered a state of trance while waiting for an eye examination. Braid, aware of the disfavor of mesmerism and animal magnetism coined the term "hypnosis," and thus began the serious study of this altered state of awareness. The result of hypnotherapy is overwhelmingly positive and effective. Countless success stories exist attesting to the benefits of this technique. Many people have stopped smoking, lost weight, managed pain, remembered forgotten information, stopped other addictions, or improved their health and well-being through its use. Flemons, Douglas. Of one mind: The logic of hypnosis, the practice of therapy. New York, NY: W. W. Norton and Co, Inc. 2002. Kaplan, Harold and Benjamin Sadock. Synopsis of Psychiatry. 8th edition. New York, NY: Lippincott, Williams and Wilkins, 1997. Zarren, Jordan I. and Bruce N. Eimer. Brief cognitive hypnosis: Facilitating the change of dysfunctional behavior. New York, NY: Springer Publishing Co., 2002. Bady, Susan L. "The best of both worlds: Combining traditional and Ericksonian hypnosis." Australian Journal of Clinical & Experimental Hypnosis 29 (2001): 68–77. Boyer, Michel F. M. "Matching hypnotic interventions to pathology types: A working model for expressive psychotherapies." International Journal of Clinical & Experimental Hypnosis 49 (2001): 352–360. King, Brenda J, Michael Nash, David Spiegel, and Kenneth Jobson. "Hypnosis as an intervention in pain management: A brief review." International Journal of Psychiatry in Clinical Practice 5 (2001): 97–101. Liossi, Christina and Paul White. "Efficacy of clinical hypnosis in the enhancement of quality of life of terminally ill cancer patients." Contemporary Hypnosis 18 (2001): 145–160. Medd, David Y. 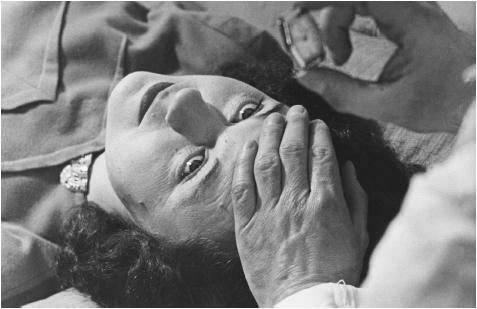 "Fear of injections: The value of hypnosis in facilitating clinical treatment." Contemporary Hypnosis 18 (2001): 100–106. Morgan, Steve. "Hypnosis and simple phobia." Australian Journal of Clinical & Experimental Hypnosis 29 (2001): 17–25. Roberts, Thomas B. "Somatosensory-hypnotherapy: Integrating mind-body and hypnotherapeutic approaches to facilitate symptom release." Australian Journal of Clinical Hypnotherapy & Hypnosis 21 (2000): 86–95. Segal, Robert. "Hypnosis in the treatment of an eating disorder." Australian Journal of Clinical & Experimental Hypnosis 29 (2001): 26–36. Yapko, Michael. "Hypnosis in treating symptoms and risk factors of major depression." American Journal of Clinical Hypnosis 44 (2001): 97–108. American Society of Clinical Hypnosis. 2250 East Devon Avenue, Suite 336, Des Plaines, IL 60018. Society for Clinical and Experimental Hypnosis. 129-A Kings Park Drive, Liverpool, NY 13088. Hi Susan, its really sorry to hear about your story. Same as many other conventional therapy, the success and fail always become one bucket that sometimes we need to deal with. I'm not capable person to exactly response or answer why your problem become worse with hypnotherapy since there are many factor that can caused it. The only one i need to share, hypnotherapy now its become one of promising method to help or assisting solving any issues as long as we can find the right hypnotherapist and make sure both of you had the plan, strategy and outcome progress to measured.